← DNS Rickroll – Trolling Sysadmins to Ring in the New Year! Metasploit Docker Container – Containerize All the Things! During a CTF I competed in recently, I found the need to create a Metasploit Docker container. The main benefit of this was not having to deal with NAT issues to my virtual machine, but I will touch on this more later. 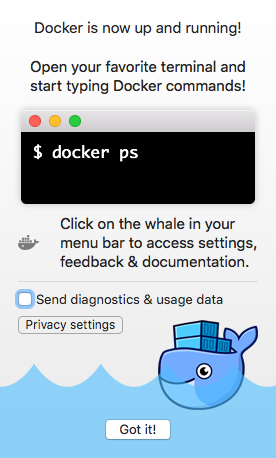 First of all, I installed Docker on my Mac. Once I completed the installation and configuration (including any proxy settings), my container was up and running. With Docker installed and running, it was time to find an image to use. I settled on the remnux image, since it seemed to have everything that I would need. [*] Attempting to add remote 'upstream' to your local git repository. [*] Added remote 'upstream' to your local git repository. Bundle complete! 14 Gemfile dependencies, 119 gems now installed. Once the container was setup, I needed to update a few things and configurations. The first thing I did was update Ruby, to prevent any other weird errors or warnings from occurring. Warning, new version of rvm available '1.28.0', you are using older version '1.27.0'. After I updated Ruby, I had to modify my git config. There was an issue with my proxy server, but updating the git URLs from git:// to https:// fixed this. With that in place, I was able to properly run msfupdate. remote: Counting objects: 3767, done. After everything was setup and updated, it was time to test msfconsole and the port forwarding. First, I generated an OSX reverse shell that I could execute on my host system. Then, I setup a handler on port 443 (notice the IP error because that isn't the IP of the container) to hopefully catch the shell. Finally, with those in place, I transferred the payload to the shared directory, and executed it on my host system. Everything worked perfectly, and I had a reverse shell to my host OS! As a result, this was a fairly easy process, and I definitely recommend setting up a Metasploit Docker container of your own. If you don't need one locally, it could be quite useful on a cloud box for external engagements.